Dr Tim Barker grew up in Regina Saskatchewan. He graduated from the college of Dentistry at Saskatoon in 1984. During his final two years of Dental College, he travelled extensively as Chairman of the Canadian Dental Association Student council. This travel included travel to beautiful British Columbia so upon graduation he relocated almost immediately to Vancouver. Dr. Barker was in private practice for approximately ten years in Vancouver, and opened the very successful City Square Dental. Dr. Barker married Nancy in 1991. She works part-time in the office and is also busy with their three children, Riley, Carly, and Corey. The Barker’s relocated from Richmond to South Surrey in 1993 and enjoyed this wonderful community since that time. They feel it is an awesome place to raise their busy children. Their children are active in soccer, basketball, hockey, music, scuba diving and of course school. Dr. Barker is active in the community and at the children’s school. He enjoys coaching basketball, martial arts, golf, travel, scuba diving, and spending time with his family. Dentistry is a lifetime of learning and he is currently enrolled in an Endodontic Excellence Course and is pursuing his interests in Cosmetic Dentistry. Dr. Barker is excited to be involved with the development of the Velscope®, an early cancer detection device which will soon be brought to market. 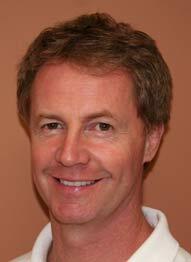 He was a member of the Academy of Cosmetic Dentistry starting in 1995. He served a term on the advisory board of Blatchford Dental Seminars. Dr. Barker has been in private practice for more than 20 years, and enjoys meeting new patients and continuing to serve his loyal existing clients.